Raised in California, Nishita was relocated to a Japanese internment camp in Arizona during World War II. He enlisted in the military after his release, serving at Camp Beale. Discharged in 1947, he studied landscape architecture at University of California Berkeley. There he was influenced by the teachings of Leland Vaughn and Robert Burton Litton, Jr., who helped nurture his zeal for drawing and encouraged Nishita’s growing concern for the environment. As a student, Nishita worked for Ariaki Inouye and the firm Eckbo, Royston & Williams. Graduating in 1951, he joined Lawrence Halprin & Associates, alongside classmates Jean Walton, Don Carter and Richard Vignolo. He spent summer vacations in the Sierra Nevada, further developing his talent for sketching, a skill which helped him formulate and refine his designs. In 1984, a number of his sketches were published in Visual Notes for Architects and Designers. Nishita became a principal in Halprin’s firm in 1964. 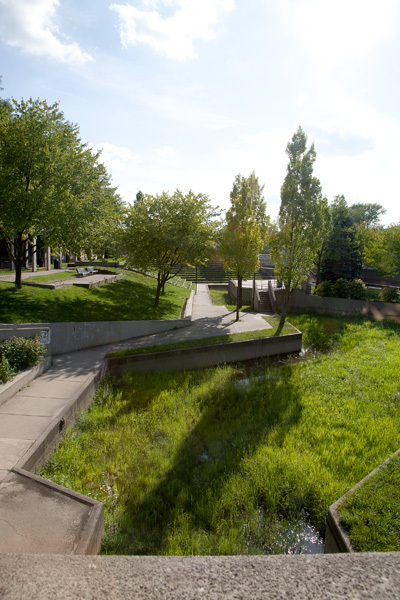 His projects as lead landscape architect included: Nicolett Mall, Minneapolis; Portland Open Space Sequence; Skyline Park, Denver; and University of California Davis. 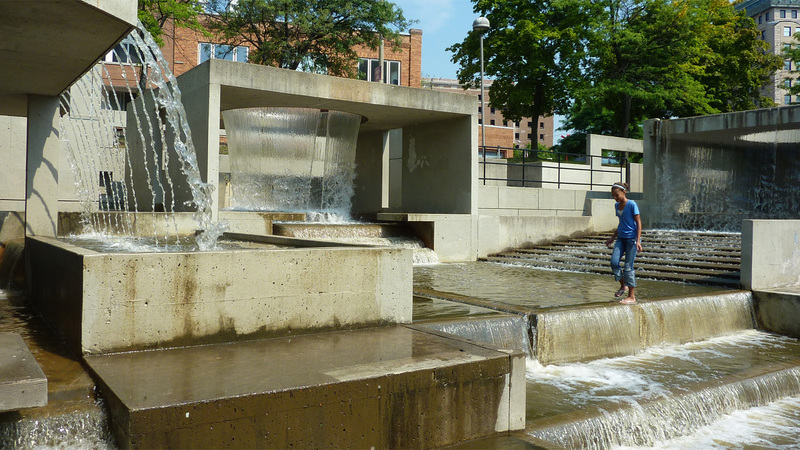 He was lead designer for Riverbank Park in Flint, MI, a project which was completed by CHNMB Associates, the firm created by Nishita, Don Carter, William Hull and Byron McCulley after the closure of Halprin’s office in 1976. In 1985, Nishita and Carter formed Nishita & Carter, Inc. Nishita retired from practice in the 1990s due to health concerns, his career marked by his broad body of work and mentorship of a younger generation of practitioners. 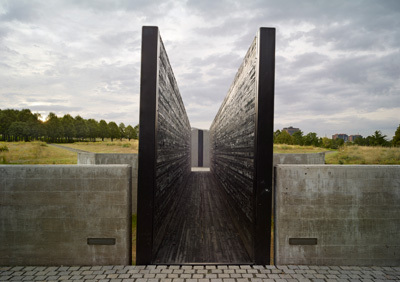 Satoru “Sat” Nishita’s numerous award-winning projects as a landscape architect highlight his environmental ethic, reveal his sensitivity to site and context, and show his deft handling of design details. Born July 4, 1927, in Castroville, California, Nishita was the oldest son and second of Kimiko and Shuichi Nishita’s five children. He grew up in farming communities in San Benito and Monterey Counties, living in Castroville and San Juan Bautista, California. Gardening and working with plants ran in his family. Nishita’s grandfather and father were locally renown for their beautiful bonsai, and his Japanese father ran the family’s successful garlic farm and gardened for the local Franciscan monks. Skyline Park, Denver, CO - photo courtesy Ann Komara. During the Second World War the Nishita family was relocated into Poston, Arizona, Camp 1, Block 17. This internment camp, known as the Colorado River War Relocation Project, included many American born Japanese from California cities. After the family's release from the camp, Nishita enlisted in the United States Armed Services as a private, having graduated from Poston High School. On March 30, 1946 he arrived at Camp Beale in Marysville, California, where he served in the 6th Army Medical Corps, before being discharged in 1947. Nishita entered the University of California Berkeley under the G.I. Bill, commenting years later, “After World War II, the men attending the University were serious. 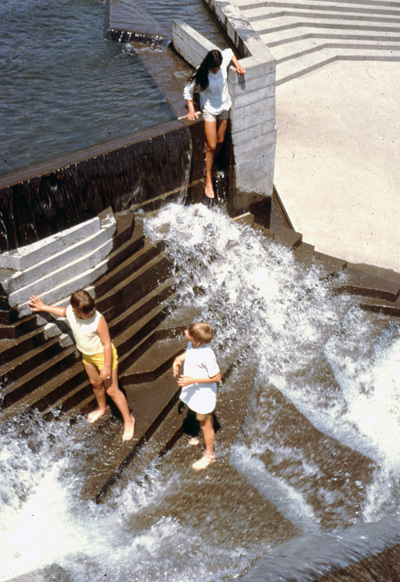 We wanted to get back into the mainstream of society, and there was very little fooling around.” He graduated in 1951 with a Bachelor of Science in Landscape Architecture. At Berkeley, his path of studies drew from his childhood experiences in working landscapes, but he was also “… very moved by the words of John Muir, the first president of the Sierra Club,” and by Frederick Law Olmsted’s urban parks, and particularly Olmsted’s Stanford campus design. 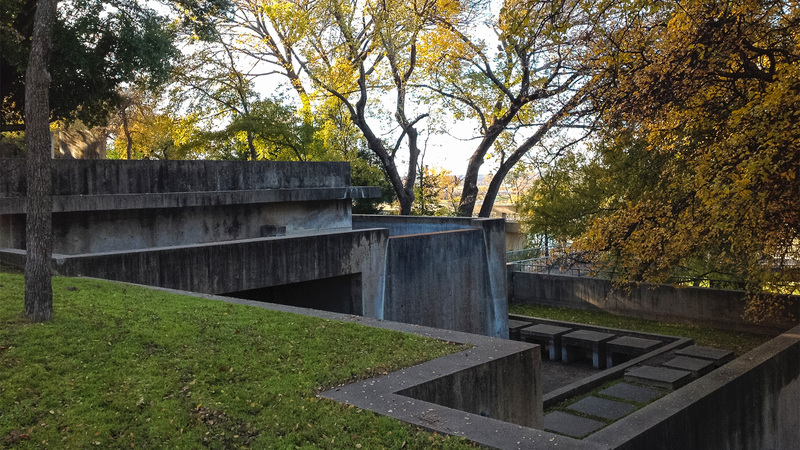 An environmental ethos shaped his future design approach. Nishita recalled the influence of faculty member Leland Vaughn, the head of landscape architecture, and lecturers including Thomas Church and Lawrence Halprin, but he credited Robert Burton Litton, Jr. as the strongest influence during his years at Berkeley. Nishita’s studies with Litton fostered his passion and talent for drawing and he became an avid sketcher and visual thinker. While at Berkeley, Nishita also pursued several professional opportunities, and developed close relationships with many of his peers. His work experiences while a student included a stint with Ariaki “Ari” Inouye, and a pivotal year in his teacher Robert Royston’s firm, Eckbo, Royston & Williams. 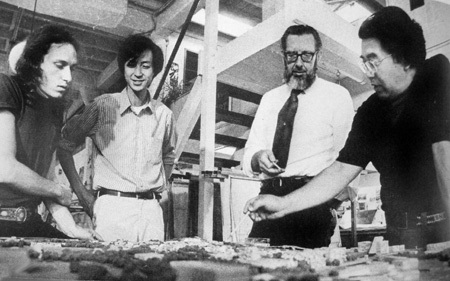 Close classmates at Berkeley included George Homsey (in architecture), Asa Hanamoto, Kay Kajiwara, Jean Walton, and Don Carter, with whom Nishita shared a deep, lifelong friendship and several design partnerships. On November 11, 1951 Nishita married Yuriko Kumamoto, also from Berkeley. Between 1953 and 1964 they had five daughters. They raised their family at a home on 5 ½ acres that they owned in Richmond, California. Nishita noted, the “previous owner was a horticulturalist … [it] had beautiful oak trees and a creek. Everything was kept natural [although I] planted some fruit trees.” Feeding Nishita’s love of the natural environment and California landscapes, the family enjoyed annual summer vacations in the Sierra Nevada, where Nishita immersed himself “studying and sketching the [landscapes and] moving water in the Sierras." He contributed sketches to the book Visual Notes for Architects and Designers, stating as his position: "Sketches ‘reflect’ and record initial ‘impressions’ and ‘thoughts’ about the existing site, the environment and the regional character. They provide a clue to the importance of the existing major elements, character, and natural surroundings (i.e., vegetation, land forms, hydrology, and urban forms, etc.) which reflect the setting and the context for the proposed project. They also unveil critical problems, issues, constraints, and opportunities through the process of visual observation, graphic notes, and analyses. I find them a valuable tool to communicate thoughts and ideas to other members of the team and to stimulate other ideas and discussion by means of feedback from them." 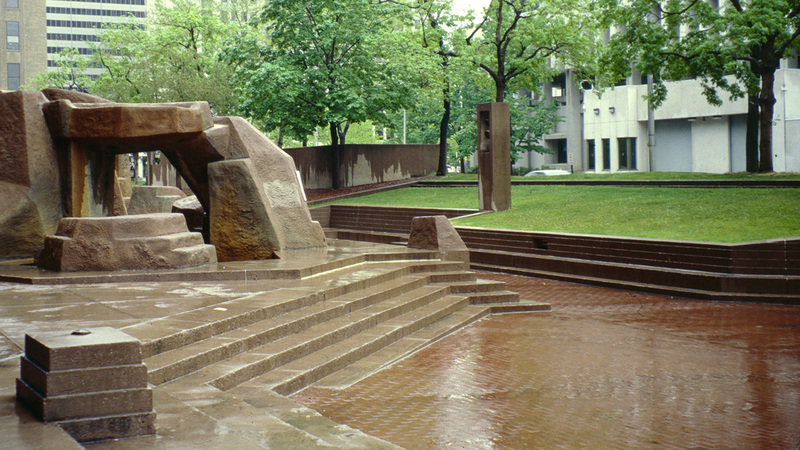 Nishita was the partner-in-charge and lead landscape architect for many notable projects in the Halprin office including: Nicolett Mall in Minneapolis (1968); the award winning open space sequence in Portland, Oregon (1965-78), including Forecourt Fountain, Pettigrove Park, and Lovejoy Fountain and Plaza; Skyline Park in Denver (1973); and Heritage Park in Ft. Worth, Texas (1976). 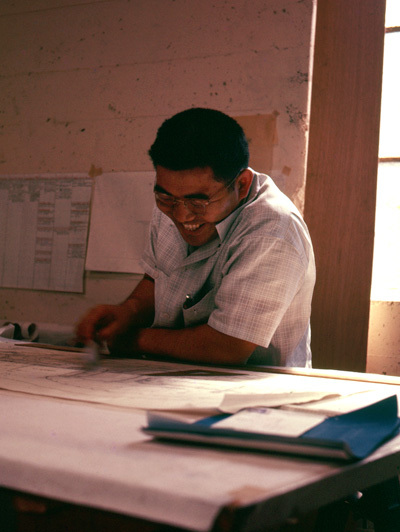 Less well known is Nishita’s deep involvement on the University of California at Davis’ campus (1963-70s), notably the “Long Range Development Plan” and numerous site projects. One of Nishita’s favorite projects, he cites its successful transformation of the agricultural college into a large university setting, friendly to pedestrians and bicycles. In his work for the Bay Area Rapid Transit Authority, he “established design planning criteria for spaces around the stations; formulated concepts for linear parks along BART track and right-of-ways; developed an integrated system of open spaces and playgrounds along the whole network; and proposed ways and means of meshing BART into the neighborhoods it traversed without adverse effects.” Nishita was also the designer in charge for Riverbank Park in Flint, Michigan, a promenade and fountain project partnered with the Corps of Engineers and city of Flint that he and Don Carter completed in their firm CHNMB Associates, and for which their firm received national acclaim and an ASLA Award of Honor in 1982. CHNMB Associates is one of two major offices that arose from Halprin’s office closure in 1976. Founding partners included Carter and Nishita, William Hull and Byron McCulley. 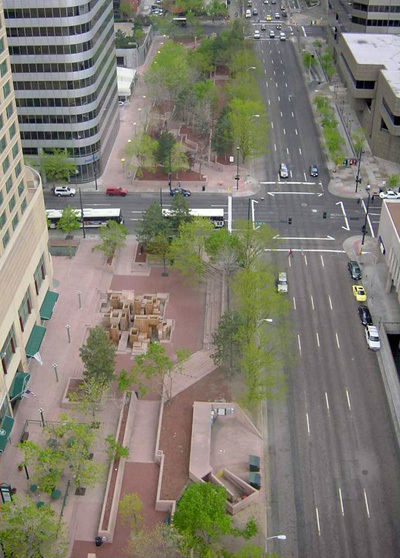 Building on their established reputation and experience, the firm emphasized urban design and planning with projects like the “Tulsa Downtown Workshop Report” (1979) and the “Market Street Transportation Study Report” (1982). They accomplished environmental studies such as the “Master Plan for the Eastbay Shoreline Report” (1982), and the “Lighthouse Field State Beach Environmental Design Report” (1982). Nishita worked on the restoration of the “natural” Huntingdon Falls in Golden Gate Park (1981). Urban design work included the Portland Transit Mall, which won an AIA Award in 1979, and master planning and site design for Jack London Square on the historically-significant waterfront of Oakland, California (1985). Nishita’s portfolio also highlights his skill with design details and his sensitivity to creating meaningful places for people. 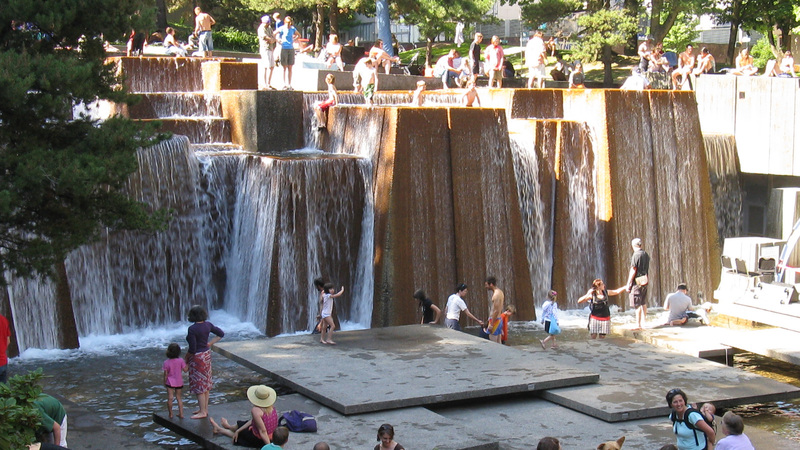 One example is the award winning Alvarado Square (1975) in San Pablo, California, where Nishita pushed for traditionally appropriate fountains in the new City Hall Complex’s public courtyard, telling the Richmond Independent Gazette, “Things move so fast in our society. 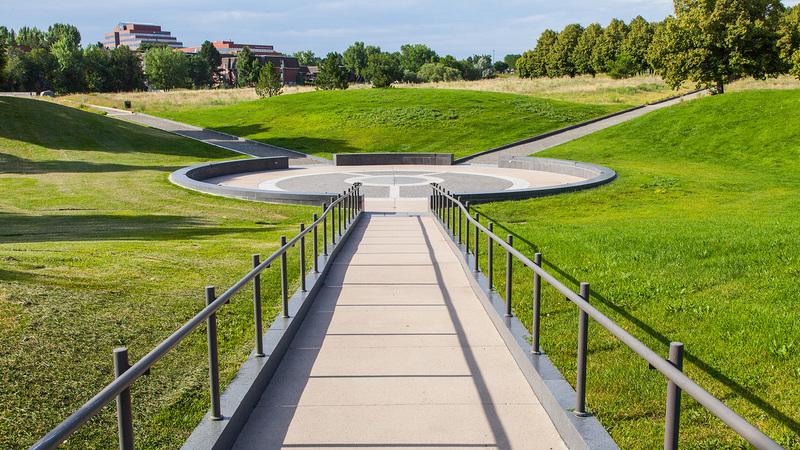 We need the calmness created by water to allow us to reflect on life.” At Babi Yar Park in Denver, Colorado (1982) Nishita’s sketches show his attention to site and the conceptual richness of the program. CHNMB Associates operated until 1985, when it became Nishita & Carter, Inc.; their partnership continued until at least 1989. Their roster of projects includes two major developments in Japan for the Mori Company, Ltd. Ark Hills, an urban development project in the heart of Tokyo, was a large mixed-use development including a major plaza and fountain surrounded by roof gardens, while Gotenyama Gardens Hi-Rise was a luxury development replete with elaborate gardens and fountains. Crowe, Norman and Paul Laseau. “Satoru Nishita, Landscape Architect,” Visual Notes for Architects and Designers (New York: Van Nostrand Reinhold, 1984. Revised edition, Hoboken, NJ: Wiley, 2012): 106-109.